Got a particular preference on your next car? Looking for a Kia dealer or a Ford dealership and having trouble locating one? There are dozens of car dealerships in Tacoma Washington but without the right tools you might totally miss that one particular dealership you are searching for or spend hours driving up and down Tacoma Way looking for your destination. Our dealership locator service covers all the major car dealerships in Tacoma WA and even some not available locally. Why? So if you want to know where the nearest dealer is located at you can find them quickly and easily online all in one place. You can locate any Dodge or Toyota dealer near you easily with just a few clicks of a mouse and get street addresses and phone numbers for your convenience. Of course our service goes beyond simply finding brick and mortar dealership locations. LotPro.com is first and foremost an online resource to research new and used cars and their prices. Want the MPG numbers on a certain vehicle? What about the dealer invoice price? 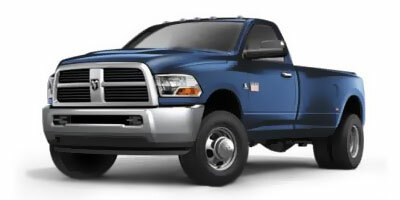 We even carry the latest national rebate and incentive deals and make it easy to compare vehicles side by side by side. The most important tool remains bringing you the best new and used car prices by allowing you to search online for the best deals. Type in any Tacoma Washington zip code and find the best used car prices from any one of dozens of used car dealers in your local area. You can search vehicles by type, make, model, mileage, heck you can even sort used cars for sale by their gas mileage. How many places let you do that? And of course you can set minimum and maximum prices so you only have to look at the results you want to pay for. Click the banner below to try it for yourself.